Nowadays, iPhone has been one of the most popular communication tools in the world. And thanks to the high-pixel built-in camera and the feature of portability, people like to take photos with their iPhone X, or 8 Plus, iPhone 7/6S/6, iPhone 5S, etc. than a digital camera to record all beautiful scenes in the daily life. However, iPhone's storage is limited and with time going on, the phone's internal memory will be occupied by more and more pictures, which can lead to mal-function of other applications. 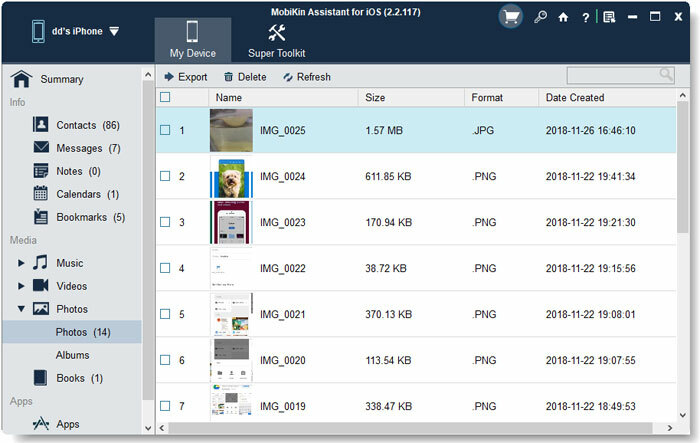 And finally you will be required to delete some files to release more free space if you're going to install or receive any new files on your device. After all, iPhone device is not a storage device, it is impossible for users to save unlimited photos on it. But no one wants to delete these precious memories on your iPhone, right? 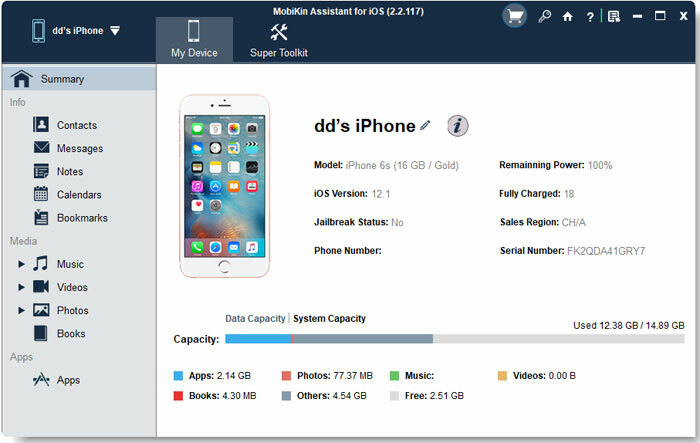 Thus, in order to free up more space without deleting any photos on your iPhone, you're strongly recommended to copy photos from iPhone to computer for backup. Some people may wonder why we're not going to transfer iPhone photos with iTunes? Actually, you know, iTunes is an one-way tool and it has no ability to help you transfer or move files from the device to computer selectively or in a batch. It is no doubt iTunes is a good tool to manage your iPhone contents on the desktop computer, but obviously, it is not a good transfer tool at all! So here, you have to find additional 3rd-party program as your own assistant. That's why MobiKin iPhone to Computer Transfer or MobiKin iPhone to Mac Transfer comes here. It could be an ideal solution to help you transfer files like photos, movies, books, playlists, etc. from iPhone to personal computer. The transmission will be finished within 3 simple clicks: Connect - Select - Export. No technical skill required, no virus here. It will never damage the data on your iPhone and the exported pictures will be saved in its original quality. Thus, you can view or share these photos on your computer anytime anywhere. Now, just get the powerful program and follow the below steps to see how easy the program works. Step 2: Choose "Photos" in the left panel, then you can preview all pictures stored on your iPhone and mark the ones that you want to export. Tips: Photos can be viewed in the program according to List or Thumbnail mode, you can select one of them to view the pictures as you like. Step 3: Click on "Export" button to transfer and save the selected photos on your computer directly. After that, you can click "File -> Open Export Folder" to check the output file ASAP. Here, you're also allowed to click "Advanced -> Options" to change the output folder before you start the transferring process. You have walked through the whole process of photo transfer from iPhone to PC. It is quite easy, right? Just get the program and backup your iPhone photos right now!